Heat up your cool summer nights! The end of June is the time when most people can enjoy spending more time outdoors – and one of our favorite activities is having campfires! 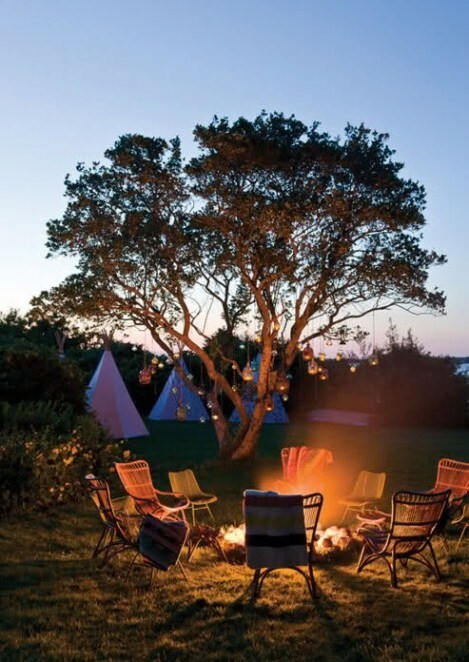 Campfires are a fun, exciting and nostalgic way for friends and family to gather and spend quality time together. You can take in the gorgeous night sky and discover new, interesting nighttime noises, all while comfortably nestled in the warmth and glow of your campfire. We also love to enjoy snacks around a campfire – you may recall last week’s “Pop It” post about different types of popcorn toppings. While popped corn and grains are great for snacking around a fire on a cool summer night, we also have a great Party Mix recipe that will surely add heat to your campfire gatherings! Melt butter in small saucepan. Add seasonings, mix. Spread popcorn, pretzels and nuts in large shallow baking pan. Pour seasoned butter over all and toss. Bake at 275 ºF for approximately 1 hour, stirring 4-5 times. Store in a tightly covered container.